E-cigarette and menthol products will no longer be sold in Somerville stores open to people too young to buy such products legally, starting at the beginning of April. A new city policy will only allow licensed 21-and-over tobacco stores to sell those products, though traditional non-menthol cigarettes will not be restricted. The city’s Board of Health voted on the policy last month, aiming to stifle a rapid increase in youth vaping that has arisen despite record-low combustible cigarette usage. This action makes Somerville the only community in Massachusetts to take e-cigarettes and menthols out of the convenience stores in which they are frequently purchased. The city increased its tobacco-purchasing age to 21 in 2016, and the state followed suit this year. Thirteen percent of Somerville’s high schoolers reported using e-cigarettes in 2018, almost doubling from seven percent in 2016, according to a Somerville High School health survey. This trend is not unique to Somerville, with current high school e-cigarette use increasing nationwide from just 1.5 percent in 2011 to 20.8 percent in 2018, the Centers for Disease Control and Prevention reported. Youth e-cigarette use has increased nationwide at a faster rate than any other substance in recent history, leading some federal officials to call it an epidemic, says Margie Skeer, an associate professor of public health and community medicine at Tufts School of Medicine. She believes Somerville’s new policy is a promising strategy that could work well alongside other restrictions aimed at reducing underage use and adjusting social norms. Kress cited two reasons to restrict sales to 21-and-over stores. First, Kress says, this policy will make it harder for underage customers to access e-cigarettes and menthols. Second, Kress explained that removing those products from stores will make young people less likely to want them in the first place. Even though e-cigarettes are safer than combustible cigarettes, the long-term health impacts of vaping are unclear, notes Scott Schroeder, a pediatric pulmonologist at Tufts Medical Center’s Floating Hospital for Children. The nicotine fluid in e-cigarettes can contain impurities like heavy metals, he says, and the flavoring often has propylene glycol, which becomes hazardous when lit. Most importantly, Schroeder emphasized, nicotine is extremely addictive. Schroeder observed that e-cigarettes can serve as a gateway to combustible cigarettes, which users turn to because of their higher nicotine concentrations, leading to severe and well-documented health risks. Recent studies suggest e-cigarette use correlates with higher rates of traditional smoking later on, including among high schoolers. Schroeder has observed e-cigarettes’ rise in popularity among teenagers firsthand, and he believes removing nicotine products from young peoples’ field of view is important. He says e-cigarettes are sometimes a legitimate tool for adults aiming to quit smoking, but their use has expanded well beyond that. The risk of e-cigarettes serving as gateway drugs is especially concerning, Skeer noted, because young people are more prone to developing severe addictions, potentially leading them to combustible cigarettes. “When a substance that’s very addictive is used early on, brain pathways can be set in a way that … creates longer-term use patterns and higher risk for subsequent addiction,” Skeer said. The country’s largest e-cigarette manufacturer, JUUL Labs, faced a federal investigation last year into whether it markets its product to young people. JUUL Labs Senior Communications Manager Ted Kwong declined to comment to the Daily about Somerville’s new policy, but he shared a press release stating the company’s support for raising the age of purchase to 21 and emphasizing that the product is intended for smoking cessation. Ryan Kearney, general counsel for the Retailers Association of Massachusetts (RAM), believes restricting the sale of e-cigarettes in stores will not stop teenagers from buying those products. He cited that Somerville stores have a 99.2 percent compliance rate, showing that most teenagers are not buying them directly from stores. Instead, he says, adults buy them for people under 21, a practice that could still happen in 21-and-over shops. Kearney says sales of e-cigarettes and menthols are important for many small stores. He warned that this policy will put Somerville stores at a competitive disadvantage. Kearney argued that removing e-cigarettes will not decrease nicotine’s visibility because stores will still be allowed to sell non-menthol combustible cigarettes. The policy leaves those products alone, Kress says, because e-cigarettes and menthols are uniquely popular with teens. A more effective policy, Kearney believes, would be to make underage possession of nicotine products illegal, allowing authorities to issue civil infractions and notify parents. He called the current lack of a policy like this a loophole in the state’s system. 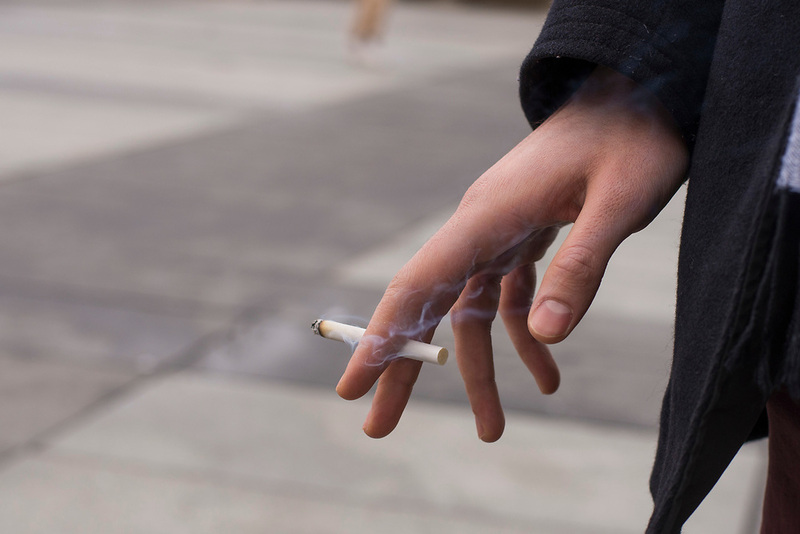 Groups like the Campaign for Tobacco-Free Kids have criticized these “purchasing, use and possession” laws, arguing that they have not been shown to decrease smoking rates, compared to restricting sales. The group also says penalizing smoking could prevent people from seeking addiction help. Beyond Somerville’s 21-plus store policy, Skeer identified a few other effective strategies. She noted that restricting public smoking and taxing combustible cigarettes at a high rate have successfully decreased their use. Unlike combustible cigarettes, e-cigarettes are not subject to any special excise taxes in Massachusetts. Kress also emphasized that Somerville works to educate students and families about e-cigarettes, mending a lack of information about the risks. Some people, he said, do not even realize that e-cigarettes contain nicotine. Kress added that other nearby communities have contacted the city and hope to follow its lead on restricting sales.